Is your company ready for digitalization? What does digitalization have to do with a pair of glasses or Lego? Digital transformation is the talk of the town across the world! But how does digitalization affect my company and my customer processes? We would be happy to introduce you to our approach and methods in a compact, 90-minute presentation at your premises. We will work with you to identify where you need to take action and what opportunities this may bring you. Tap into the digital potential of your customer processes. As specialists in digital transformation, we will advise you along the way. 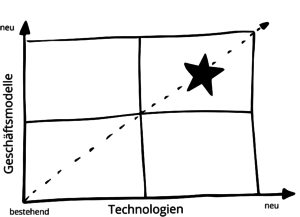 Everybody is talking about it, but does digitalization have any effect on my company? Where is there a need for action and what opportunities might this bring? How can I use technologies for existing and new business models? We can answer all of your questions. We will help you improve both your sales figures and customer satisfaction by making your digital sales process more efficient. This is achieved through seamless provisioning, an emotional presentation, as well as marketing and sales information tailored to your needs. We will work with you to evaluate where your company currently stands. To this end, we will examine your existing business models, with an eye towards taking digital transformation at your company to the next level, while working with you to develop business and technology strategies fit for the future. Become one of the first companies to undergo a digital transformation and benefit from digitalization to its full extent! Our introductory Digital Transformation workshop teaches you how you can use existing and new technologies to optimize or reconsider your business models, thereby taking you further on the path towards digital transformation. Our strategy combines the latest consulting techniques with project and program management. 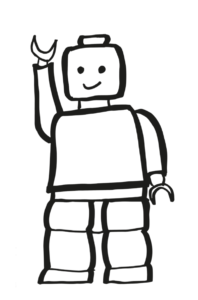 We use unconventional approaches such as Lego® Serious Play®, in addition to more traditional workshop methods such as the business model canvas, in order to help you identify the course of action that is most suitable for you. Our expertise in industrial manufacturing means we speak your language and understand the challenges you face. Not only do we advise you, we also support you as your implementation partner while you carry out your projects. We complement our classic consulting services by offering development and design services from a single source! The latest technological developments in augmented and virtual reality are creating never-before-seen opportunities to interact with customers. We will help you find new ways to communicate with customers and transform your sales processes into one-of-a-kind experiences. Our expertise in the fields of consulting and human change management ensures that proper account is taken for the cultural change that accompanies the process of transforming your business models, and that close consideration is given to technical aspects related to digitalization. As one of the first IT service providers fme has access to the Development Edition of Microsoft’s HoloLens augmented reality glasses. 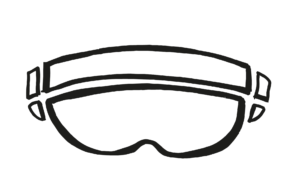 As such, fme is part of the small first wave of companies that successfully applied to acquire a pair of the coveted augmented reality glasses for developers in spring 2016. These glasses will allow the company to guide its clients through digitization processes in an innovative way. Take advantage of our extensive experience in emotionalizing customer processes. We will help you achieve greater success at the point of sale by designing and implementing interactive portals, using intuitive sales tools, and creating a holistic design for innovative showroom concepts.